The Environmental and Natural Resources Law Clinic – Students can learn the skills that will help them practice law after graduation by working on real environmental matters for real clients. Environmental Law Certificate – available through the Law and Government Institute in Harrisburg and on the Delaware campus through the Environmental Law Center. Externships – Summer jobs and jobs during the school year with various Pennsylvania state governmental agencies in Harrisburg. Joint Degree in Marine Policy with the University of Delware College of Marine Studies. 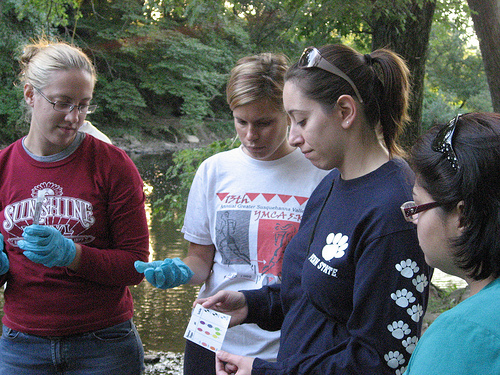 Environmental Law-related Classes – ELC faculty teach a wide variety of classes on environmental topics. Volunteer Opportunities – Students can work as Summer Interns in the Clinic or through a Public Interest Resource Center externship with the Mid-Atlantic Environmental Law Center, working hours that can qualify a student for the Pro Bono Distinction honor at graduation. Environmental Law Society – active Society chapters are on both the Wilmington and Harrisburg campuses. 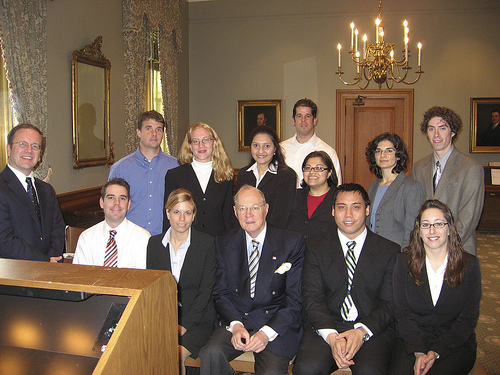 Environmental Inn of Court – Each year 3 Widener students are invited to be Pupils in the Delaware Valley Environmental Inn of Court chapter in Philadelphia, where they meet and network with environmental law practitioners from government, public interest, and private practice. Widener graduates have filled a variety of positions in the environmental field. They include: William Wehrum (U.S. EPA’s former top climate change and air pollution official, now at Beveridge & Diamond), Lesley Schaaff (U.S. EPA’s top environmental regulatory counsel), Lisa Jaeger (former acting General Counsel at EPA and now a partner at Bracewell and Guiliani), Maya K. van Rossum (Delaware Riverkeeper), William Ward (environmental counsel with the National Homebuilders Association), C. Russell H. Shearer (Deputy Chief for Enforcement and Technical Matters, Office of Health, Safety and Security, Office of the Deputy Secretary, United States Department of Energy), Thomas Linzey (Community Environmental Legal Defense Foundation), James Stuhltrager and Jennifer Murphy (United States Army), Blaine Phillips (Conservation Fund), Mary Ann Manley (Legal Editor, Bureau of National Affairs Environmental Due Diligence Guide), Antoinette Flora (Clean Air Council), Monica Sheets (Colorado Dept. of Public Health and Environment), Gary Hepford (Pennsylvania DEP), Dan Gallo (U.S. EPA), and Carole Hendrick (Delaware Riverkeeper Network).